I’m pretty sure that the first X5 I drove about ten years ago was a 3.0-litre six-cylinder turbodiesel that spat out 160kW. That was impressive back then. 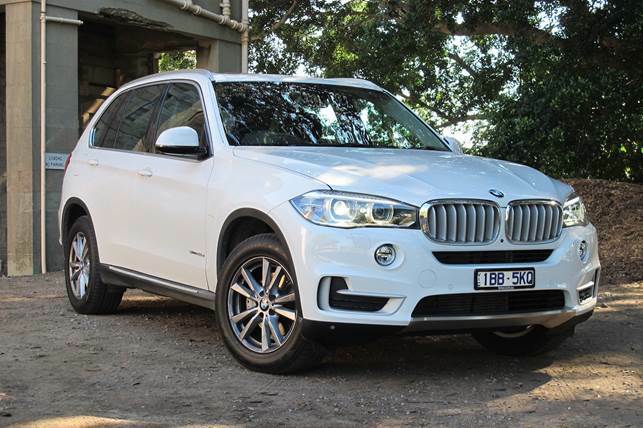 In 2014, BMW’s entry-level X5 still outputs the same amount, but from a 2.0-litre turbodiesel that powers a bigger rig, and yet consumes around 40 per cent less diesel while offering improved performance. Talk about progress. Interestingly, the price is about eight grand cheaper than it was ten years ago, yet the new X5 offers so much more. New cars are currently astounding value in terms of their performance, reliability, efficiency and convenience. There is a lot more choice now too but even so we’d be mighty happy to slum it in this base X5 as it is supremely competent and at the price, an extremely convincing luxury package. Though it’s a base model this is hardly bereft of specification. 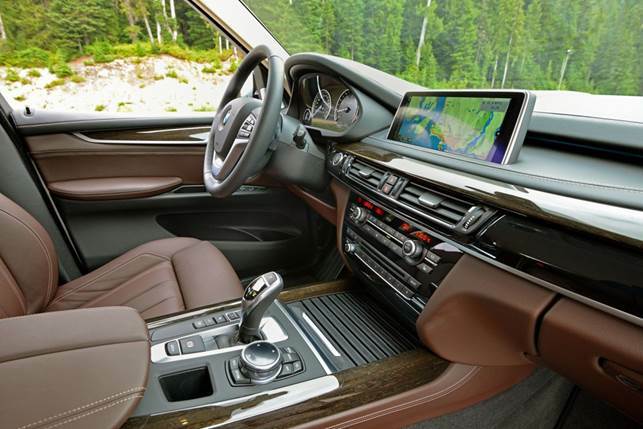 Expect sat nav and all manner of connectivity via the iDrive system, a rear view camera, sensors and all the safety gear, with more of the advanced stuff being optional. There’s power adjust for the leather seats and the steering column while the tailgate is a no-hands device too, though you might want to option keyless unlocking and seat heaters. The engine is a good ‘un, small in capacity but not in output or character. I’m no lover of four-cylinder diesels but this one revs and delivers plenty of mid-range go, while there’s not much in the way of tractor-like rattle to give the game away. The eight-speed auto keeps it in the zone, that being 1,500-4,000rpm, and while there are various drive modes, Normal or Comfort works fine 100 per cent of the time. When you need to get a move on, simply activating the auto’s sport mode does the trick with no need for a paddling. It cruises effortlessly too, 100km/h registering just 1,500rpm. 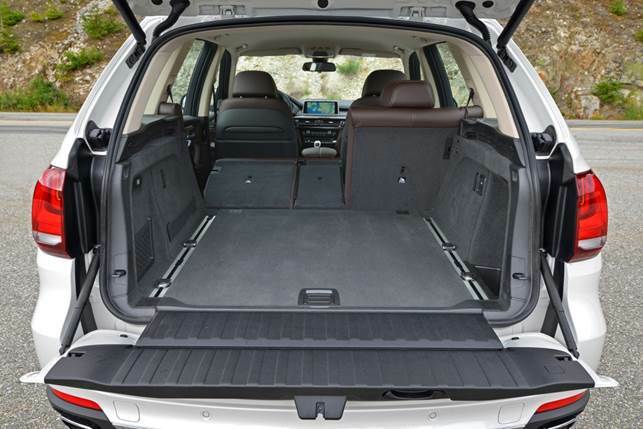 The X5’s a big rig now, with plenty of space for three in the rear and a generous boot. But it doesn’t feel like an unwieldy bus to drive. The steering is brilliant, light weighted for town work and yet it’s precise with just enough feedback to let you hustle the X5 hard in the hills. And with the constantly variable torque split from the all-wheel drive system and the various facets of the electronic stability control working away in the background, this big family wagon feels genuinely lithe in action, with grip to burn. On top of all that it rides well. No really, it rides like a luxury SUV really ought to. About the only thing lacking is a bit more oomph to comfortably overtake traffic on shorter straights. But then you could level this at most diesels. This is a top buy and even though the base ML and Q7 models are cheaper, those are old, lumbering trucks. No wonder BMW doesn’t offer the 5 Series Touring any longer, as this vehicle is about as dynamic while being a heap more versatile.